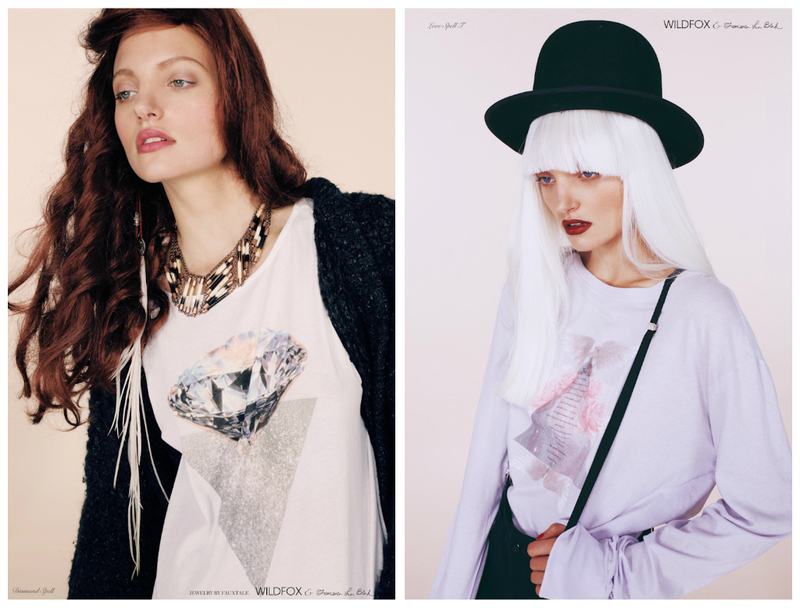 "The Wildfox girl is a fairy from Los Angeles. Ella's favourite colour is rose-quartz pink. Her boyfriend Sage makes music videos of her wearing lace and floating through the air on feathery pink wings, singing songs about a city where almost everyone is waiting to be discovered and transported up the hill to a mansion with palm trees, jacarandas, a view of the Hollywood sign or the ocean and an indoor swimming pool surrounded by sea-nymphs. But Ella's not waiting to be discovered. She's found herself and when she finds you, she'll bake you cupcakes and sing you lullabies." Love this look!! The pink pastel and black looks great together. Wow the pastel coloured hair is amazing! I think my favourites are the bottom 2, I love pairing cute with tough! uhh, their stuff it to die for! Wish it wasn't so expensive! I love the colour of her hair so much!! Love this post, I'm actually obsessed with pink hair at the moment. I LOVE the pink hair - dont think I could pull it off though! They have such a nice shirts! !